Keyboard music, lets your keyboard play music while typing. KeyMusic lets your keyboard play music when typing, just for entertainment, girls or children might like it. It is very easy to use, just install and run it, your keyboard will sing while you typing. You can set the Device, Instrument, Volume and Tone to get a wide variety of music, and all settings will be saved automatically after exited. Please note that this program needs Windows Media Player (WMP) component to play sounds. By usual, most Windows systems have installed WMP, but if you use Windows 7 N or other Windows systems that have not built-in WMP, you should install it manually first. If you’re typing out a long essay or article, it can get extremely boring and tedious. Most people put on music to help pass the time. But if you pick up today’s discount software promotion, you will be the music! It’s KeyMusic! KeyMusic assigns musical notes to the keys on your keyboard, so when you type, music comes out! With KeyMusic, you’ll be able to adjust the musical effect to your preferences, and the program is smart enough to remember your customized settings between sessions. Make your keyboard sing as you type! What kinds of settings can you customize with KeyMusic? How about Device, Instrument, Volume, and Tone? By leveraging the power of Windows Media Player, KeyMusic makes each typing session into pure entertainment. If you need a software that can help keep your kids entertained while your are typing on your computer, or if would simply like your keys to play different musical sounds then you should try KeyMusic. It is a simple software that will fill the air with beautiful instruments sounds, in a variety of tones. Sometimes, when you are working on the computer, you could use a little music, either to keep your kids occupied or to simply improve your mood. KeyMusic is a software that will make this possible. KeyMusic is a fun application that can make typing an art, because it assigns a beautiful sound to each key, allowing you to create or play music while working on your PC. KeyMusic is a portable software that you can take with anywhere because you don't need to install it to be able to run it, it has a very easy to use interface and it doesn't affect your workflow due to its capability to minimize into the system tray. KeyMusic will allow you to select what type of musical instrument you want to play while typing and also in what tone should the sounds be (from C and C# to B). You will be able to choose from a very wide array of musical instruments starting from the classics piano, violin, or harp sounds to the exotic shakuhachi and glockenspiel and down to the modern bass and synthesizer sounds. KeyMusic will also enable you to select the device and to adjust the sound volume with the use of the slider bar incorporated in its interface. It will automatically save your settings when you close to program so that you won't have to select them all over again every time you run the application. KeyMusic is a simple, fun and friendly application that will help you easily play music sounds while typing. When you are typing something on your Windows PC, sometimes you might just want to be entertained too. Try KeyMusic. It is a nice tool which plays different musical instruments when you press your keyboard keys. The application is very light and is portable - no need to install it. You just need to select the Device, the Instrument, the Volume and finally then Tone - and after that you are ready to go. I would recommend you to select "Piano 2" as your instrument, it's very good. It supports 12 different Tones including C and C#. You just need to do is to select the settings and minimize it to system tray. Your settings would be saved by the application as you exit the application. You can also choose to minimize it to the system tray. There is nothing much complicated on the interface of KeyMusic, it's very user-friendly. The application is not so large, it only worth 612 KB. KeyMusic is a fun application that assigns a beautiful sound to each key and create music as you type. Download this application for Windows 7 and get encouraged to type more and create beautiful music more! Click here to download it . PS: Jotti reports the file to be clean and it worked fine on my Windows 7. A KeyMusic MIDI billentyűzetet varázsol a számítógép billentyűzetéből. A hangminősége erősen függ a gépünktől, s azon belül is a hangkártyánktól, mivel a rendszer MIDi hangszereit tudjuk vele megszólaltani. Alaphelyzetben túlzás lenne azt állítani, hogy élethű a hangzás, de egy kis szórakozáshoz tökéletes. Mellesleg arra is remekül használható a program, hogy megtréfáljuk ismerőseinket, hiszen telepítés nélkül futtatható akár egy pendrájvról is, és ha lekicsinyítjük a Tálca értesítési részére, nem is különösebben feltűnő, hogy fut. Ám amint gépelni kezd az illető, rögtön dalra fakad a gép, akkor is, ha mondjuk egy szövegszerkesztőben áll neki levelet írni. KeyMusic is a Windows software to play music with PC keyboard while typing. This software turns your PC keyboard in to a piano. So when you type, you can hear music with each keystroke. This software to play music with PC keyboard while typing is quite an entertainment which adds fun to your typing work. On a serious note, this music software can make typing an art, since it assigns a soothing sound to each key which allows you to compose music while typing on PC. Keymusic is a portable software. The music plays anywhere in the entire system. This key music allows you select a musical instrument you would like to play while typing and the tone of the sounds. It varies from C# and C to B. You can choose from a variety of musical instruments starting right from the classic piano, violin to the carillon and down to the synthesizer sounds and modern bass. In addition, this software to play music with PC keyboard also authorizes you to adjust the volume using the slider bar. The best part, it automatically saves the settings even if you shut the program so that you do not need to make such adjustments over and over again. Besides, KeyMusic window never affects the flow of your work because you can click ‘Minimize to System Tray’ in order to hide it. In case you want to see the window, just click the corresponding system tray icon. Yupp...its done...listen to your keys…they are giving a soothing music everytime you click a key. You can even adjust the volume. In case you want to stop the playing noise, just close the window. It will automatically stop playing music as well. You can also play Piano on your Computer with a software reviewed by us. Click on the link to read more about the software. In short, KeyMusic is a platform with which you can make typing on Keyboard, an art and can take this art forward. Go ahead guyzz...get it right away, play music with PC keyboard!! KeyMusic은 키보드 키를 이용해서 음악을 연주할 수 있는 프로그램입니다. Device에서 MiDi를 선택하고 Instrument에서 악기 종류를 선택하면 됩니다. 볼륨과 Tone을 조절한 후 시스템트레이에 최소화한 후 키보드를 누르면 연주할 수 있습니다. 아쉬운 것은 키보드의 키가 어떤 음인지를 표시해주는 메뉴가 없다는 겁니다. Important (I): perfected UI effect for any system DPI setting, in any supported Operating Systems (system DPI setting: in Windows 7, it can be changed at "Control Panel -> Appearance and Personalization -> Display -> Make text and other items larger or smaller"). I: always keep the tray icon. I: only allows the program running single instance to avoid the duplicate sounds. I: uses Golden Ratio for the main interface and its start position. I: more robust error handling mechanism. Greatly enhanced the icon clarity of the window & exe file. Reduced the size of exe file through Optimized internal efficiency. Changed "Get/Retrieve Your License (Free)" menu item to "Lost License Key?" to eliminate ambiguity. 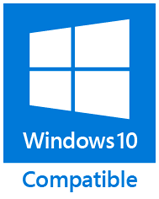 Important (I): supports Windows 8/8.1/10. I: added option - "Run it when PC boots." I: added option - "Minimize it to System Tray on startup." I: supports to check the new version (includes manually and automatically). I: minimized program to System Tray when click the window's <Minimize> button, no longer need to click an extra link to do this. Added the Help button, it includes these functions: "Product Homepage, Company Homepage, Request eMail Support (Free), Request Remote Support (Fee-based), Recommend to Friends, Find Us on Facebook/Twitter/Google+". No longer uses the bold texts on the main interface, replaced them as colorful texts, more readable and friendlier. Changed the format of screenshot on the website from GIF to PNG, in order to let you see the original and most clear appearance of the product. Important: supports to adjust the volume. Important: can remember the last settings. I'm using KeyMusic, it lets your keyboard play music when typing, just for entertainment.